Guessing has closed and the answer has been revealed. This one tripped a lot of players up, but the answer is the Orcutt Trade Center. It houses several buildings so we accepted answers of 135, 127, or 125 W. Clark Ave in Orcutt. The two-story building was originally the Orcutt Hotel (subsequently called the Orcutt Trading Center and Pioneer Square) and was built around 1922. Currently, it houses a variety of businesses including retail sales and office space. 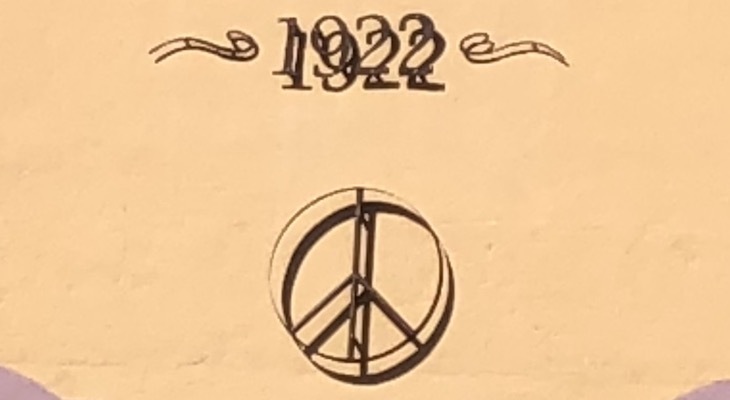 According to an article in the Orcutt Pioneer, the building was built by a Santa Cruz bootlegger Stephen Dal Porta in the face of prohibition, there was a complete hotel downstairs and a speakeasy upstairs. I really like that they have a peace sign. In the 60s the war hawks said the sign was a "chicken foot print". Actually it was designed by a man in England in 1958. He used the idea of "signaling flags" making their N and D, for nuclear disbarment. Glad to see Penelope805 listed at the top again. Being listed at the top has nothing to do with contest standings. ^^^I haven't smoked a bowl yet so I might be slow - so can someone tell me what the heck he said? Dear Parvopup: if you are asking about my comment, it is excited, game-related chatter. Cheers! WHAAATTTTT!!!!?!?!?! Oh man. This is so exciting. I feel so bad about Holazola! Mike! You can still do this! Stong playing, Macpuzl! Britt.... tell your team mates we're coming for you! (Although we are getting really nervous.) See y'all on the field tomorrow.